Dodge crate engines are now for sale online at the CrateEnginesforSale.com website. This company builds and sells OEM Chrysler originals that are ready for installation into Dodge vehicles by vehicle owners or engine installers. The CrateEnginesforSale.com company now supplies unlimited mileage warranties for a period of 36 months. The CrateEnginesforSale.com company is known for its quality and craftsmanship selling new edition crate motors. 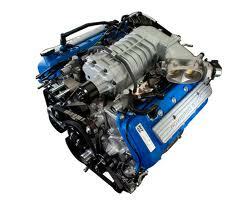 This company has now added Dodge crate engines for direct sale online. These editions include the complete lineup of cars, trucks and SUVs. The in stock inventory now includes the Hemi, 3.7 and 4.7 editions that are most popular for replacements. More information can be found online at http://www.crateenginesforsale.com/dodge/dodge-crate-engines. The Chrysler company produces the Dodge line of vehicles and has invested in some of the best engineering in the world for the engines. Some of the most powerful V8 engines are part of this automotive family. The success of the Ram truck series, van series and passenger cars has helped consumers gain confidence in the power and performance of Chrysler produced vehicles. The engine types that are now in stock are in new condition and offered for discounted prices. Warranties can be hit or miss when buyers search for replacement motors. The used industry rarely attaches warranties to high mileage engines due to the potential breakdowns and failures that can occur. Most new engines have a 30,000-mile or less warranty during the first term of ownership. The CrateEnginesforSale.com company now supplies unlimited mileage warranties for a period of 36 months. This new extension is designed to assure all customers of the quality and performance of all purchased motors. A new online price generation system is now incorporated for buyers that perform research online. Getting quotes is standard in the automotive industry due to different sizes and types of vehicles that require replacements. This new price delivery feature is helping to distribute quotes every day of the year. This system includes pricing, warranty terms and shipment costs to help buyers plan budgets accordingly. This brand new way of delivering quotes is expected to speed up the research and sale process for buyers online. Price discounts have now been added to the inventory online. This measure was announced in December 2012 and the Ford lineup was selected for this trial period. The success of this new incentive has made it possible for all brands in stock to receive new lower pricing. The news announcement for this price change can be found online at http://www.prweb.com/releases/ford-crate-engines/crate-engines-for-sale/prweb10215741.htm. The Crate Engines for Sale company launched its website in the spring of 2009 and has built its online presence through price reductions and same day shipments to customers. This company supplies new crate motors to the automotive industry and to vehicle owners that perform engine replacements. Through extensions of warranties and dyno testing, the Crate Engines for Sale company has been able to expand its customer satisfaction ratios and reach inside the U.S. The upgrades in engineering and equipment that this company has made since its launch has helped to improve each edition that is built.